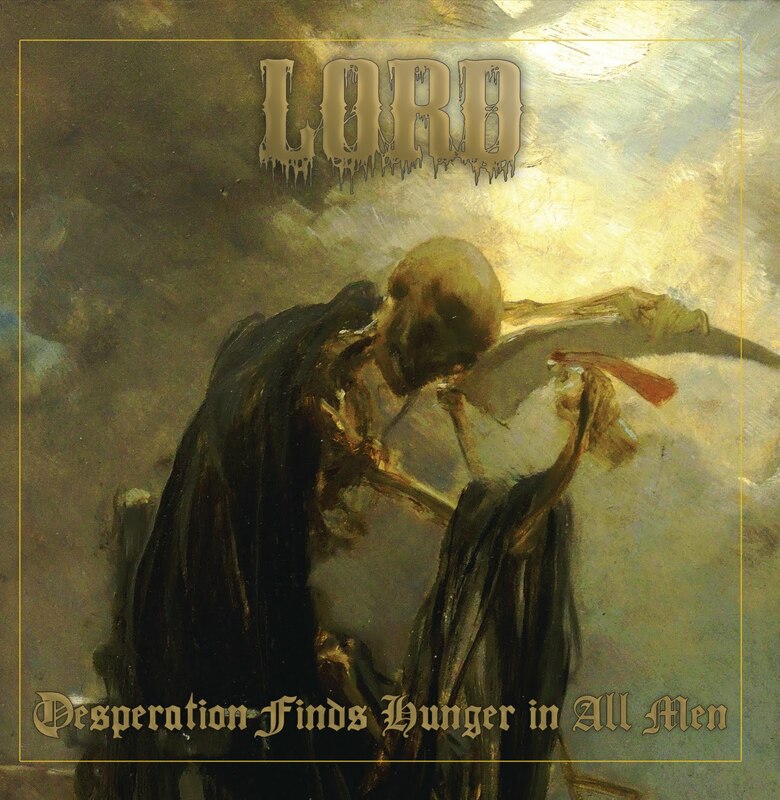 This is another weird one but one that I cant help but to love - it's the latest from the Fredericksburg, Virginia heavy metal maniacs Lord. Entitled Desperation Finds Hunger In All Men this is a radically diverse and wonderfully long offering in the bands ever growing discography. Clocking in over an hour and featuring all sorts of weird proggy elements there is a lot to wrap your head around with on this record. It's an album that takes a lot of patience and demands multiple listens, but it also speaks to us in a very human way. Counterbalancing three tracks that clear the ten minute mark with a few shorter ragers and some mid length masterpieces there is always something new to fascinate with Desperation Finds Hunger In All Men. It's a multifaceted offering to say the least and one that is going to have you questioning different sides of the genre. There is an inherent weirdness throughout the record that makes it all the more potent. It has that twisted sense of human suffering that defines a lot of great metal. I thin what really hits me though is the raw talent of many of the musicians involved. So much is done on this record that it boggles the mind to consider how massive an undertaking it was. This all being said in some ways the length and diversity work against it. I'd be curious to hear a more concise and precise offering from the band, though getting to hear all their thoughts in one place is certainly a pleasure. There are a lot of challenging aspects to this album and ideas that I don't think I fully get despite having spun it a few times. That being said - that's part of the fun of heavy metal, the fact that sometimes you need to really dig in to figure it out. It's not all handed to you and it's actually a helluva lot smarter than our parents ever thought it could be.